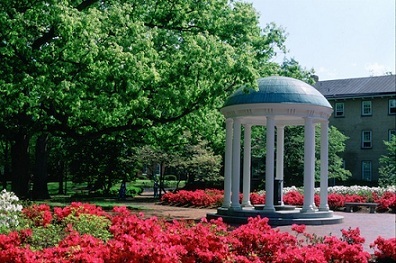 The car accident lawyers of Maginnis Law, PLLC are experienced in representing Chapel Hill, North Carolina residents, including students and professors of the University of North Carolina – Chapel Hill. Associate attorney Shawn Howard is familiar with the Chapel Hill area, having attended UNC – Chapel Hill for both his undergraduate and law degrees. Our car accident civil litigation lawyers will work closely with you to obtain full compensation for the disruption and pain caused by the at-fault driver’s negligence. Whether you’re a busy professor, college student, or town resident, handling a car accident claim on your own is a risky proposition. Insurance companies want quick, low settlements and will often pressure you into taking their initial offers. The car accident personal injury attorneys of Maginnis Law, PLLC will take an aggressive, strong approach to your case to develop all of the facts and damages to ensure you receive appropriate recovery for your medical expenses, lost wage earning capacity, pain and suffering, and, if applicable, permanent disability. Our Chapel Hill car accident lawyers are also experienced with issues involving North Carolina automobile accident insurance law and can help you determine what additional policies other than the at-fault driver’s may apply to your injuries. Identifying such policies is often critical to making a full and fair recovery. Maginnis Law, PLLC differs from many larger personal injury firms in that we do not have an extensive staff of “case managers” that handle client inquiries. We believe that our clients deserve immediate and direct access to our lawyers. The benefit of such direct interaction is that our civil litigation attorneys come to intricately know the ways your car accident has affected your life. Such thorough knowledge of your experience is critical to properly negotiating and litigating your Chapel Hill car accident claim. Car accident personal injury consultations with Maginnis Law, PLLC are free of charge and we will travel to meet with you if necessary. Our attorneys accept all Orange County car accident claims on a contingency basis so that you pay no attorneys’ fees unless you recover for your damages. If you or a family member has been injured because of an automobile accident in or around Chapel Hill or Orange County including on US Route 15-501, North Carolina Highway 54 or 55, or Interstate 40, contact the personal injury attorneys of Maginnis Law, PLLC at 919.480.8526, or you may submit a new case inquiry by going to our contact page.